A bodycon elegant ruffle dress can look good with a denim jacket. In this outfit, I wore this short blue print Mint & Berry dress with blue heels and bag and I gave it a daytime touch with this short sleeved denim jacket. Denim jackets season is here and you can never have enough of them! This one is a statement piece with its sleeves length and the floral embroidery. Un abito aderente elegante con balze si può abbinare a una giacca in jeans. In questo outfit, ho indossato questo abitino corto stampato di Mint & Berry con scarpe e borsa blu e gli ho aggiunto un tocco da giorno con questa giacca in jeans a maniche corte. La stagione delle giacche in denim è qui e non se ne hanno mai abbastanza! Questo è un capo particolare grazie alla lunghezza delle maniche e al ricamo floreale. I love fitted dresses, they look good on tiny framed women and this length is not too short so it looks classy. The only limit of these dresses in my opinion is that they might look too classic and therefore I love to add something more unusual to my looks. This embroidered denim jacket is sure a cool piece of clothing and it looks great because it's very feminine and also fitted enough so my outfit doesn't look too "clogged up". Do you love denim jackets as much as I do? Mi piacciono gli abiti aderenti, stanno benissimo sulle corporature esili e questa lunghezza, non eccessiva, lo rende di classe. L'unico limite di questo tipo di abito, in mia opinione, è che potrebbe sembrare troppo classico per il mio stile e quindi mi piace aggiungerti sempre qualcosa di inusuale. Questa giacca in denim ricamata è molto cool e sta benissimo perché molto femminile e con un taglio aderente per cui non va ad appesantire il look. Anche voi amate le giacche in jeans tanto quanto me? 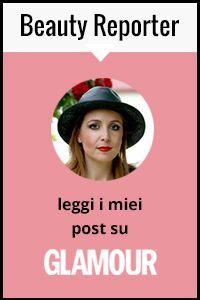 Io lo faccio sempre per sdrammatizzare un abito troppo bon ton... delizioso il tuo! You always look so stunning. I adore that jacket! I love this kind of styling and you wear it so well, Vale!! this outfit is SO me! Love the dress and the jacket combination! Que bien te sienta todo; el vestido, la chaqueta,… has creado un look divino!!!! Estas guapísima!!! What a stunning dress on you! Love the ruffles and the blue palette. I love that you made it a bit more casual and the embroidered roses really stand out. Lovely as always! L'abito è raffinato e mi piace con il denim. Che bello il tuo giacchino in jeans, mi piace moltissimo! That dress is amazing on you, and I love how you the jacket dresses it down some. Loving this look, lady- can't beat a denim jacket!